However circling back to testing, defensive armor arrangements and things like impact of ammo handling (or even how dangerous cirdite was in the confines of a ship's powder room were prohibitively difficult sand expensive to really test. So while guns might be tested against individual plates or armor nobody could afford to build a new battleship to cripple or destroy in testing. So at best you only got to really see how the whole protection scheme worked when the BB is obsolete and you get permission to to a Sinkex instead of immediately selling her to a scrapyard (or leaving her to rust in reserve). Then maybe you can incorporate your findings into your next new design - only 20 or more years after commissioning the now expended ship. Worst case you found out about flaw when enemy fire found the weak spot in your design and ruined your whole day. 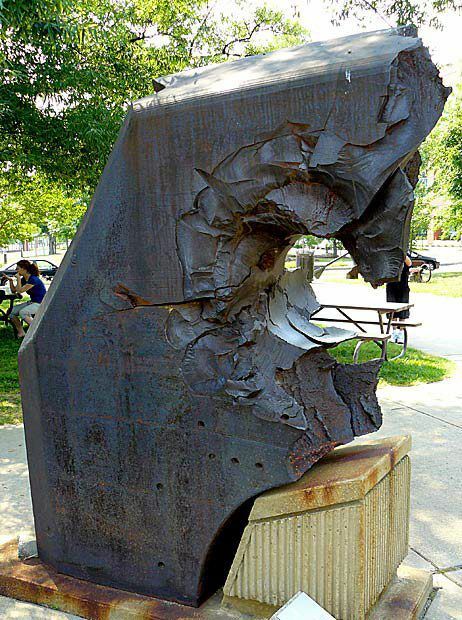 This reminds me, there was a weapon test conducted by the USN against a piece of turret face armor from the converted battleship Shinano, or rather from a turret face that was never installed in the ship. The piece was 26 or 27 inches thick. Yeah. Even though the round didn't fully penetrate I suspect that "spauling" from the interior surface would cause a good deal of damage and casualties in the turret gunroom. Which reminds me of a question regarding the shells used on ships, I know there are 2 basic types (not counting smoke etc); AP and HE. What kind of refinements are there on these 2 types, for example - tanks use HE, HEAT, AP, APCR (and the British HESH which causes massive amounts of spalling) and all their cousins. It's complex, particularly as you are talking about a period of 120 years where the technology changed quite a bit. There are multiple types of AP, most with an explosive charge in them and some without. HE rounds used by the US Navy are normally called HC for high capacity, not HE. I have no idea what other navies called them. Plus you have illumination rounds and other sorts of special purpose rounds. See here for some definitions. The issue of building well known and well understood products on new equipment by new personnel is probably best encapsulated by the story of FOGBANK. You've probably heard it, but I'll recap anyhow for anyone not familiar. From 1975 to 1989 Oak Ridge made a substance code named FOGBANK that is used in critical parts of US W76 fusion weapons. "The material is classified. Its composition is classified. Its use in the weapon is classified, and the process itself is classified." It is generally considered to be an aerogel that becomes part of the plasma that helps trigger the second (fusion stage) of a fusion bomb. By 1993 Oak Ridge had demolished the production plant and left just the pilot plant, and virtually all the employees involved had retired by the early 2000s. Which is when the NNSA decided they needed more FOGBANK to refurbish weapons. So they built a new facility to make more, using the equipment in the pilot plant as a model, planed for completion in 2005, to turn out FOGBANK in to deliver refurbished weapons in 2007. Since they had a pilot plant and the production process documentation this wouldn't be very hard, even without the mast majority of the production personnel, right? The plant was late in completion And the process to manufacture FOGBANK didn't work. It turned out that documentation of the manufacturing process were not complete, and despite having a pilot production plant they couldn't produce useful quantities. Two years, in 2007, and a lot of additional R&D later they finally were able to manufactured FOGBANK. Unfortunately it didn't work in the weapon. So after another year and $69 million, they eventually determined how to make it work. It turned out that a feedstock material that was being used in the new plant was the issue. A "minor impurity" that was in the original feedstock was in fact absolutely essential to produce working FOGBANK but due to improved purification process that were developed since 1975 it was being removed from the feedstock. So yeah, making old stuff on new equipment by new employees can be a very non-trivial problem. Then we have the Saturn V problem. We have all the blueprints, design documentation and production documentation all nicely stored away. But it is impossible to pull them out of the NASA archives and build one because the entire supply chain doesn't exist. The carefully selected parts that are specified are not made an more and the companies that made them often doesn't exist. So you can't even build the sub-assemblies to build the components. You'd need to redesign a very large portion of the entire vehicle using parts that are currently available. And now that you've done that now you have re-qualify the all the parts of the entire vehicle, starting from individual components and sub-assemblys and running up to full scale test flights. In the case of Beowulf and Mantiocore, I really doubt that the entire RMN production chain was based on Beowulf manufacturers. So, for example, everywhere the plan for a fusion reactor specifies a particular Manticoran made pump you have to replace that with a different part. Or you have to obtain the design documentation for the pump and build it from scratch. Which might be a bit of problem if that documentation no longer exists due to being blown up, along with the designers. So instead you have to find one built on Beowulf that fits the space available, or build one from scratch, and then either way you have to re-qualify the whole reactor and the vehicle or system it goes into. And it isn't just physical parts like that. Someone has to port all the computer code designed to work on what I would assume are proprietary computer hardware (since most civilian systems are probably not designed to work when being exposed to the radiation from hundreds of nuclear detonations per second) to whatever the closest Beowulf equivalent is. And then you would probably want to find all the subtle weird problems introduced by these changes before you deploy a system controlling thousands of missiles moving at close to the speed of light in a system you are very fond of. Now if you and just pour sand in one end and get Mk23 missiles out the other that isn't a huge issue. Of course that means when someone obtains the plans for a RMN system they can just pour sand in one end and get Mk23s out the other end too. With Mycroft you also have a lot of new code being written for equipment that doesn't even exist in prototype form. Just the change between having your computer node maybe a thousand KM away from the control node to having them up to light minutes away will produce interesting effects that forces changes to a huge amount of the codebase. You’re talking apples and I’m talking oranges. (1) The labor force putting these systems into production in Beowulf is about 25% Manticoran, including people who were doing exactly the same jobs in Manticore pre-Oyster Bay and who are now teaching other highly skilled technicians how to do them in Beowulf. (2) There is no — I repeat, no — new, untested technology in any component of Mycroft. For all intents and purposes, you could think of this as stripping Keyhole-Two platforms off of existing Manticoran ships (although that’s not necessary; Beowulf is fully capable of building new Keyholes if it needed them) and mounting them on Beowulf-built stationkeeping platforms using Beowulf-built power generation systems. Same parts, same sensors, same FTL components, same computer codes, same everything at the pointy end of the stick. It's like taking a US 16" coast defense gun and its fire control designed for the Panama Canal zone and mounting it to defend the Straits of Dover. You're using British cement and British workmen to build the mounting, but the gun and its fire control are a well tested, thoroughly proven piece of technology. In some ways, the situation isn't exactly parallel because the "guns" are going to be manufactured in England (Beowulf), but unlike the 16" gun which was built in a completely different foundry using completely different techniques, the Manties have brought the foundry along with them to build any more they need. (4) Honorverse technology is not quite up to pouring sand into one end of the machine and getting Mark 23s out to the other. It does, however, in some ways come close. A huge proportion of Honorverse manufacturing is done with nanotech which “grows” the necessary parts and molecular-level printers which can be programmed to produce just about anything you want to any tolerances you want once the template for whatever is being manufactured is known. The Manticoran advantages in construction times had a lot more to do with streamlining materials handling, scheduling, and simplifying/improving component subassemblies than it did with better blast furnaces, smarter blacksmiths, or heavier drop hammers. (5) The Royal Manticoran Navy was able to provide Beowulf not simply with working models, not simply with a labor force which had been savagely winnowed by Oyster Bay but still existed, not simply with service manuals, and not simply with blueprints, but with the total documented background for every single step of every single stage of the R&D and testing which went into creating the hardware in the first place. in other words, just to make this perfectly clear, there are no gaps anywhere in the documentation, plans, or other paperwork. Zip. Nada. Rien. Zilch. (6) Honorverse computers are based on effectively infinitely reconfigurable molecular circuitry blocks. There have been many references to this in the books. In essence, all Manticore needs to do is to take a Beowulfan mollycirc “blank” and “print” it with the Manty computers needed to control any component of Apollo and hence of Mycroft. (7) Despite all of the above, it takes damned close to six months for Beowulf to have Mycroft up and running, officially online and fire test certified, protecting the Beowulf System. Given all of this, I genuinely don’t understand why you are comparing the process or the situation confronting the Grand Alliance to the re-creation of a production line that was completely shut down or recertifying the pumps in a Saturn V booster in 2017. From where I sit, there is absolutely no parallelism between the two. Wow, it's been so long since I've posted on these forums, I can't even get the system to recognize my old name. Had to establish a new one. Haven't heard the fogbank story before, but this is so...so TRUE of Gov't programs that I can't emphasize it enough. Worked on a 50 year old system, and we are tried to order some new units, since (obvs) the existing ones were long in the tooth, and even though we have all the plans, the same contracting company, even can use the old specs--can't get the new units to last worth a damn. The old ones have thousands of flight hours over decades, and the new ones are breaking a key component repeatedly (that could result in ordnance just falling off unexpectedly) Something about the metallurgy of the original material just WORKED, and after 5 years of investigation, still can't get the new ones to work, even with calling in some of the original employees (those who aren't dead) to work on it. Had to resort to stripping key components out of the old units to make the new units. Different day (year), different program. Chemical manufacturer changed their manufacturing equipment, supposedly better, fewer impurities. Problem is, for US, this stuff doesn't work. Doesn't age right anymore. For commercial businesses, this doesn't matter, and they buy 99% of the stuff. But for this program, this chemical now results in distinctly diminished performance after 10 years as opposed to 20+ year stability before. Can't get the old stuff--they threw the old equipment away, and it takes years of effort to figure out WHICH impurities didn't matter (never did figure out which ones did, but found a different source that works). Runsforcelery's #2: just because they make the same item doesn't mean it will necessarily work the same, especially for high-tech items. Different manufacturing lines are DIFFERENT. It might work for relatively simple things like guns, but often not for high tech (and chemical-based) like missiles. That said, I've worked on things that often only had 1 or two manufacturers, may be different if you've already had experience building a dozen different manufacture lines. And argument 4 can cover a multitude of sins (metaphorically speaking--I'm not saying it's a sin). After all, with future technology, it's possible the problems of today will be a lot different from then. a) Man, the little things can majorly hose a project and schedule. What was in that magic sauce?!?! Let's not overthink things here. We tend to do that far too often. Remember we're two millennia in the future and most of what we call science has been developed in the last couple of centuries. RFC decides how things work. If he says things can work, they can. Build ship 1000 of the same design, it still endures builder trials before being turned over to the navy, who then does its own however long it takes to work it and the crew up. Take the first Mycrofts & pods, test it, fire it. Take some of those obsolete Solly POS SDs and fire them up then run 'em on remote and blow them into orbital debris. Or just assume they did because we have better use for 15,864 words than recounting the actual testing of each and every part of the system AND the system as a whole. Personally, I'd rather be reading about Ginger doing Tac training with Abigail and Helen. cthia wrote: Wait until the grandparents spoil him even more. And the godparent. Who is Raoul's godparent? If there is any consolation, H&H, you won't have nearly as hard a time as one Victor and Thandi will after they give birth. Flying spoons and cold peas will be the least of their worries. Raoul's God parents are the royal couple namely Empress Elizabeth and Prince Justin and Katherine Mayhew and Alistair MacKeon. saber964 wrote: Raoul's God parents are the royal couple namely Empress Elizabeth and Prince Justin and Katherine Mayhew and Alistair MacKeon. Let's not forget that the Queen Empress loves to reach into her goodie bag for people she either likes or she thinks deserves something special, or both. Raoul is going to be hopelessly spoiled I'm thinking. Last edited by robert132 on Wed Apr 04, 2018 1:46 pm, edited 1 time in total.